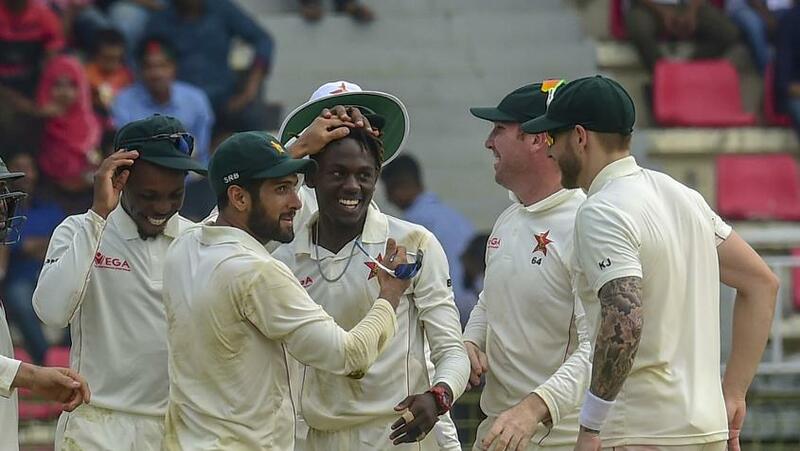 Hamilton Masakadza, the Zimbabwe captain, and Player of the Match Sikandar Raza were delighted after their 151-run victory over Bangladesh in Sylhet – Zimbabwe's first overseas victory since 2001. Zimbabwe last won a Test in September 2013 when they defeated Pakistan amid dramatic scenes in Harare. Since then, they have been on a win-less streak for over five years. It was, therefore, not surprising that the players could barely contain their excitement after a comprehensive victory within four days. Both Masakadza and Sean Williams used the word 'ecstatic' to describe their mood after the Zimbabwe spinners helped close out the game. "Yeah, I'm ecstatic, I thought the boys went out and worked really hard, applied themselves really well," Masakadza said after the match. According to the captain, who contributed with crucial knocks of 52 and 48, the match was set up in the first half of the game as Zimbabwe bowled out Bangladesh for 143 in response to their first innings score of 282 – a hefty 139-run lead. "Especially in the first innings, we (secured) a good lead which was important on a wicket like this," he said. "It was always going to be difficult to come out and bat last." 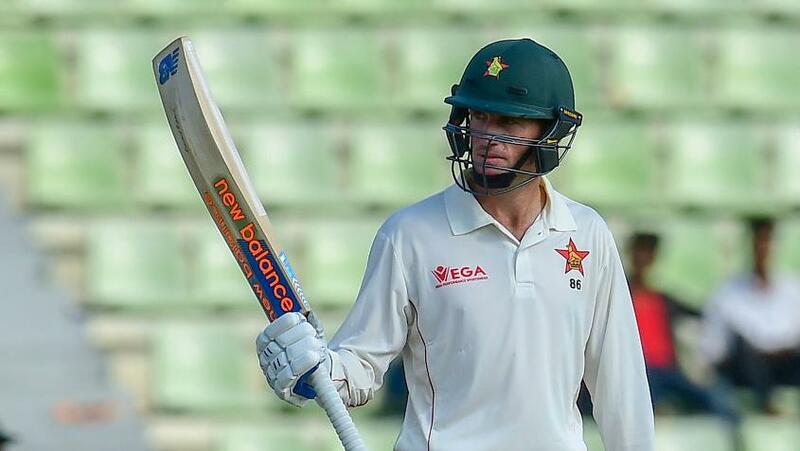 "I thought the batsmen applied themselves really well"
Although he wasn't entirely pleased with how the second innings panned out for Zimbabwe – they got bundled out for just 181 – he felt the overall batting performance was good. "Generally, I thought the batsmen applied themselves really well. Especially in the first innings, guys took their time to stay on the wicket and accumulate runs," said Masakadza. "(In the second innings) we left a lot of runs out there, we almost let Bangladesh back in the game. But all in all, I thought the first innings really set it up for us." The captain reserved special praise for the bowlers, who shot out the hosts out for well under 200 in both innings. "I thought the bowlers were brilliant the whole time since we landed here in Bangladesh," said Masakadza. "I don't think they've done too much wrong. To come out and stick to their areas on that wicket, it was really encouraging to see. It's one thing to have a wicket like that, but guys need to execute their skills as well. "It's not often that you see your spinners get more out of the wicket than Bangladeshi spinners. I think this is one occasion where that has happened." 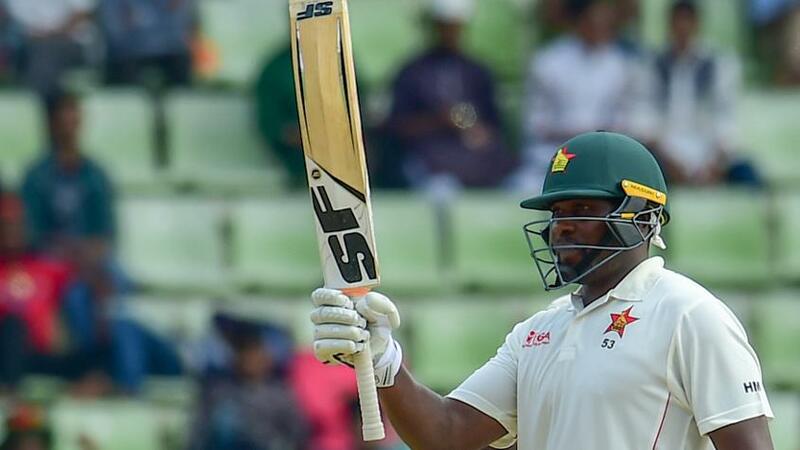 "It's not often that you see your spinners get more out of the wicket than Bangladeshi spinners"
There were three key contributors with the bat in the first innings – Masakadza provided the start with an excellent fifty, and Peter Moor closed things out with a steely 63*. But it was Williams's knock of 88 that held things together. He acknowledged that batting was tough, but vowed to come good again in the second Test as well. "I'm ecstatic actually," said Williams. "I didn't expect to get the Player of the Match, but I'm going to enjoy this one in the changing room afterwards. "It was pretty difficult. (It) took me a long time to get in on that wicket. Going back to the one-day games, I realised that was the case so I brought it forward into the Test matches and luckily it worked out for me. Unfortunately, I didn't get the 12 runs needed to get to my century. But it's still on the cards, and it's definitely on my plans for the next Test." "I'm going to enjoy this one in the changing room afterwards"
Williams also made it a point to laud the effort of the bowlers, and was particularly pleased by what he saw in young leg-spinner Brandan Mavuta, who took 4/21 in the second innings. "I think young Brandon Mavuta bowled really well, it was fantastic to see," he said. "Unfortunately, he didn't get his five-wicket haul, but also our seamers – on a spin-friendly wicket, (Kyle) Jarvis and (Tendai) Chatara bowled really well in the first innings to set the game up for us." The second Test will be played in Dhaka from 11 November.